The Jodi Mattes Trust promotes barrier-free access to cultural collections for disabled people. Museums, galleries, archives, libraries and heritage sites use technology ever more to serve their audiences. The Trust fosters the cultural equality of disabled people by celebrating best practice through the Jodi Awards; developing guidance for museums, libraries and archives; challenging cultural organisations to do more for the cultural rights of disabled people. 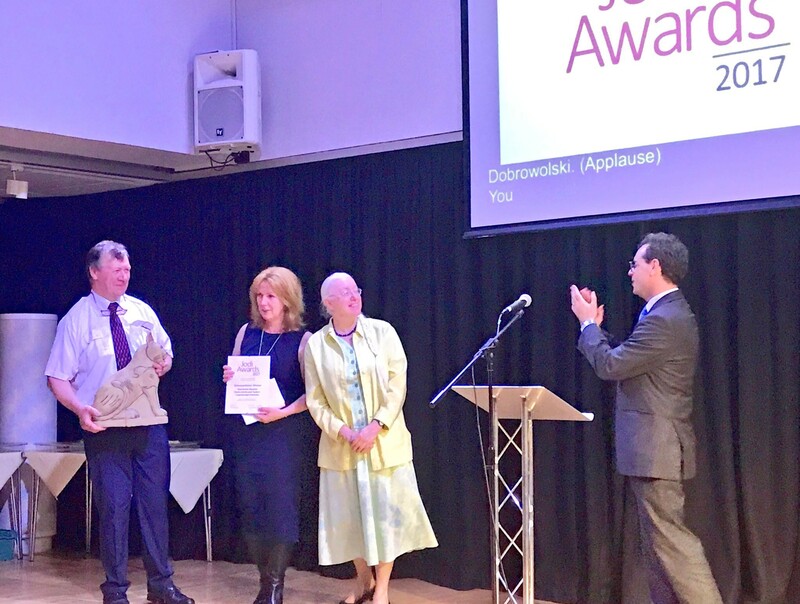 The Awards are for best use of technology to widen access to information, learning, collections and creativity for disabled people in museums, libraries, archives and heritage. 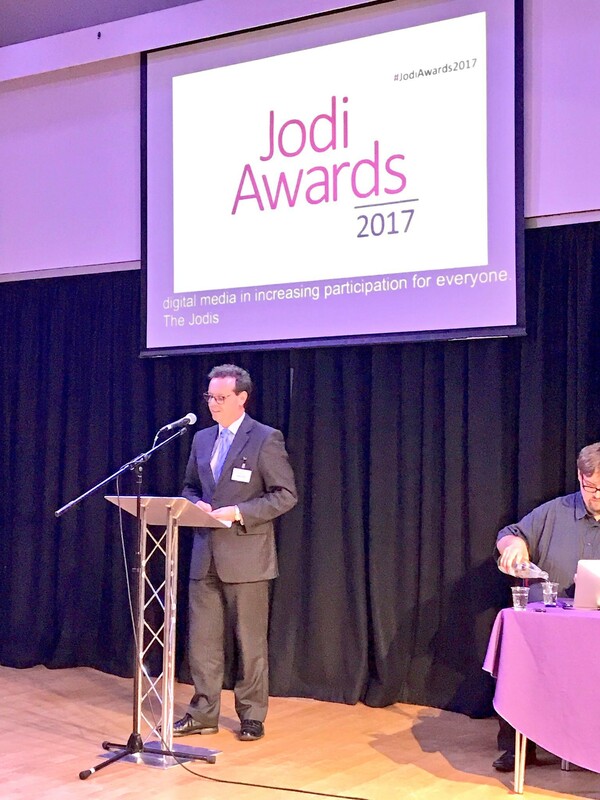 The Awards are given in memory of Jodi Mattes, a tireless champion of equal access to culture for disabled people. Details of who can apply, and how to apply can be found after news of our latest winners. 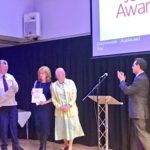 The 2017 Awards took place on 29th June at the Richard Attenborough Arts Centre in Leicester, in conjunction with the University of Leicester. 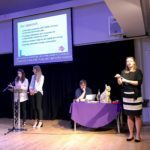 Sign language is the preferred language for many deaf people, and the Signly app at the Roald Dahl Museum and Story Centre, delivers smart signed content directly to the user’s device. Open the app and point at a Signly SIgnpost to play the relevant video. Signed content appears as if the visitor had brought their own interpreter along in their pocket. For example, aim Signly at the Signly label positioned near Roald Dahl’s writing chair to get signed content about the exacting daily routine he followed to create his famous tales. House of Memories is an innovative dementia awareness training programme developed by National Museums Liverpool (NML). More than 10,000 health and social and family carers have accessed the training. My House of Memories app is a digital resource developed to share tools and techniques from the training, based on the power of objects to elicit deeply held memories. The app provides access to hundreds of fantastic social history objects from museum collections. 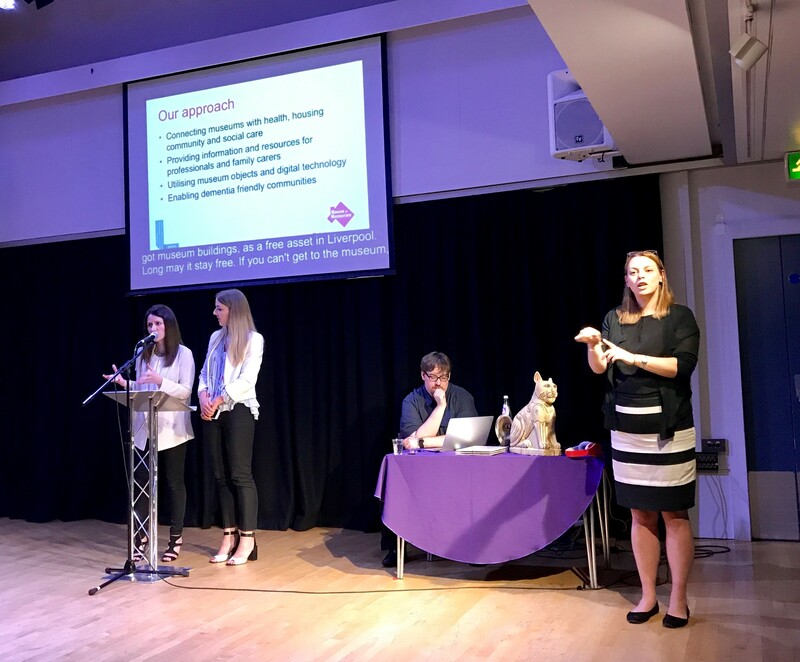 The app was co-created to be intuitive, easy to use, and accessible using multi-media and multi-sensory approaches to stimulate conversation and interactions between people living with dementia and their carers. Improving access to museums collections for blind and visually impaired people through the use of new 3D technology. Two new 3D digital interactive experiences developed in the UK, Digital Touch Replicas and Gallezeum® were evaluated by Visually Impaired working groups in Austria, Germany and the UK; they have been found to offer new ways of accessing museum collections and encouraging participation in museums. DTRs or digitally scanned replicas, allow access to inaccessible objects via hidden touch sensors, delivering information via audio visual multimedia as the user explores a physical replica. Gallezeum, a new digital platform, uses haptics, where the user makes a virtual tactile connection with a digitized museum object, presented with multimedia in a virtual three-dimensional environment. Reading about this year’s winners made you want to apply? 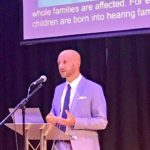 You can if you are in the category of museums, libraries, archives, heritage and disability organisations, of all sizes and from all countries, that have worked on accessible digital culture initiatives. Projects can be low or hi-tech and for small or large audiences. Nominations for this year’s awards are now closed, but see our ‘Apply’ page for information on how to apply for the next round of awards in 2019. Rather than award categories, up to three awards will be given to projects that demonstrate high qualities across all the judging criteria.